The new system will start on November 1, 2018. The new system maintains the ethos of the current system but aims to be simpler and more flexible. 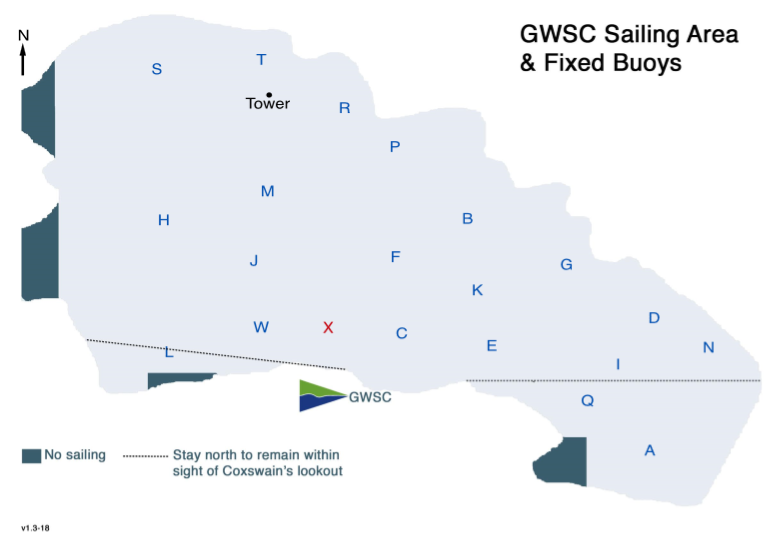 It also hands to GWSC members and guests more responsibility in their choice of sailing area. First, the current Area 1 will be abolished. This restriction is ignored by many or not understood by others. Second, a new flag (Yellow/Red) will be displayed when the sailing area is restricted. That restriction might be imposed because of weather conditions such as poor visibility. 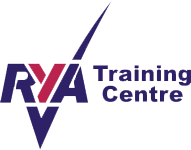 Another example might be that sailing is restricted to a training group that has its own safety cover close by. The restricted sailing area could be the same as the old Area 1. But it could even be a smaller area closer to the Club’s shoreline. How will I know about what the Yellow/Red restriction is? The restriction will be displayed on the monitor in the Cafe. Proactive safety cover (Green flag) = the water is being watched, usually by at least one safety boat with a driver and crew. Typically, therefore, safety cover is proactive on Saturdays and Sundays, and Wednesday evenings, when safety crews are on duty. Reactive safety cover (Yellow flag) = the water is not necessarily being watched. It is typically flown during the week when the Coxswain has a rib available but is not necessarily watching the water. The Coxswain will assist you when you have been spotted. To be able to easily alert the Coxswain or Office, you are advised to borrow a handheld VHF radio from the Coxswain. There is a new map available of the permitted sailing areas on Grafham Water. You need to know where the four no-sailing areas are located (these are not new areas but already existing). You are also advised to stay north of the dotted lines on the map: you will not be visible from the lookout if you go south of those lines. Until the system is evaluated and established, the new maps will be printed and made available on waterproof paper. The new system will be closely monitored to see how useful it is and for adherence. Importantly, we will be looking carefully at any safety implications of the new system. The system will thus be confirmed as viable or in need of change. When the new system has become established, new signs will be put up and a new sticky-backed map will be available for boats. This article was posted in Homepage Items, Sailing & Racing.